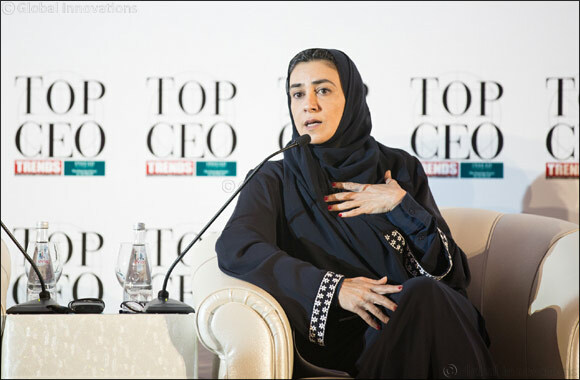 Saudi Arabia, 27 March 2018: For the first time ever, the Kingdom of Saudi Arabia will host the “Arab Women Forum” as part of the fourth edition of the “Top CEO Conference and Awards,” which is set to return to the country for the second time on 10th and 11th April at King Abdullah Economic City. The new forum aims to enhance and support the growing contribution of Arab women to the region’s economy and society and will serve as an elite gathering of top female executives, decision-makers, professionals and experts on women empowerment and business leadership. The forum will feature a series of keynote speeches and panel discussions focusing on business topics including “The Economic Revolution,” which will discuss the economic benefits of heightening the inclusion of women in business; “Boardroom,” which will explore what can be done to optimise the number of women in management circles; and “Entrepreneurs,” which aims to empower women to kick-start their own businesses. Other business topics will include “Tech Discrimination,” a look at gender discrimination in the tech industry and how women can be better included in regional tech projects and “The Community-Based New Economy,” where participants will consider what technologies can be used to boost the involvement of women in society and business. The event is supported by Arab News as the Official Partner of the event and Women’s Forum as the Supporting Partner. The Arab Women Forum will be held at Bay La Sun Hotel & Marina, King Abdullah Economic City, Saudi Arabia on April 10.